The title may not be very accurate. I'm European (Italian) so I don't have a very clear idea of how it works in U.S.
My understanding (correct me if I'm wrong) is that the economy there incentivises the people to use credit cards, and eventually spend money they don't have. Then, each month, they can pay back the debt, paying some interests on it in some cases. Is it possible to live in U.S. and use a debit card rather than a credit card, just like it works in Europe. So that I'm unable to spend more money than what I have on my savings account? Alternatively, use a credit card but disable the possibility to spend more money than the one I have on my account. I know credit cards are needed to create a credit score, but I'm not sure I understand the implications of that either. My understanding is that the economy there incentivises the people to use credit cards, and eventually spend money they don't have. Interest on debt provides a direct incentive to only spend money you have, but there is incentive to use credit cards in general as they provide a buffer between your money and fraudulent charges as well as commonly having some sort of reward program. Many people do fall into a trap of spending more than they should because they have access to credit, which ends up costing them much more over time due to interest. 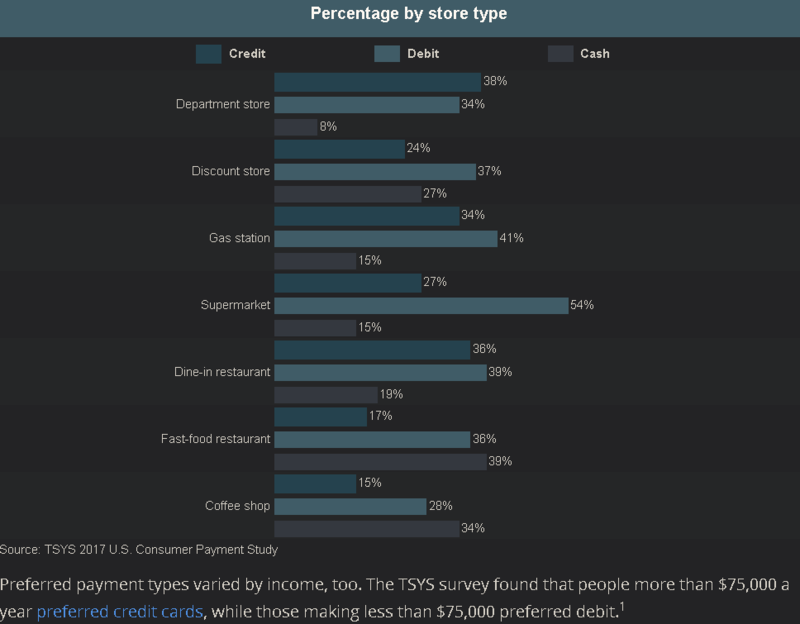 Credit cards are very common in the US, but ~25-30% of consumers do not have any. 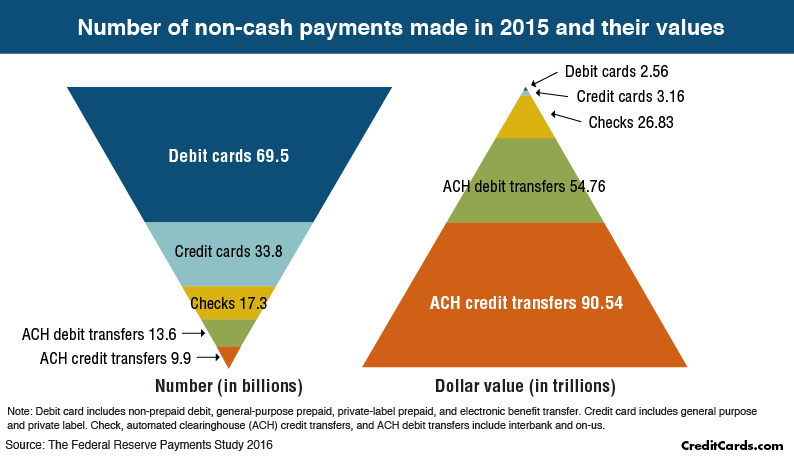 Most debit cards in the US use the same transaction processing companies as credit cards (Visa/Mastercard/etc. ), so living with debit cards instead of credit cards is typically not an issue. The main issue you'd likely encounter when using a debit card instead of a credit card in the US is with things like hotel reservations and car rentals where the merchant will place a hold for some amount that will be released when the final transaction is processed. With a credit card, you'd never see this unless you were pushing up against your credit limit, with a debit card however you need to have funds in the account sufficient enough for holds and any actual charges. Not a huge issue typically, but it's important to have plenty of funds in your account when traveling on a debit card. Yes. My son did it for quite a while. There are things you can't do, though, like rent a car. And reserving a hotel will require a large balance in your checking account because they will put a very large (like US$1500) hold on your account to ensure you have enough money to pay them. the economy there incentivises the people to use credit cards, and eventually spend money they don't have. Advertisers try to convince you to spend, spend, spend. The antidotes are to #1 be disciplined and #2 not watch advertisements. I know credit cards are needed to create a credit score, but I'm not use I understand the implications. They make it easy to start a credit history, but aren't mandatory. Many -- but not all -- apartment owners won't rent to someone without a credit score, but it's been a long time since I've had to rent, so I don't know how prevalent it is. BOTTOM LINE: credit cards don't force you to go into debt. I went for a few years heavily using my CC every month, and had no debt because I paid the card off every week. Essentially, I used it as a debit card. Why didn't I just use a DC? Rewards points (which you probably won't get), and fraud protection. So, if you can be disciplined, then get/use a CC. Not everyone can be. For a long time, my ex-wife and I weren't but now we are. Note: debit card includes non-prepaid debit, general-purpose prepaid, private-label prepaid, and electronic benefit transfer. Credit card includes general purpose and private label. Check, automated clearinghouse (ACH) credit transfers, and ACH debit transfers include interbank and on-us. Yes, it is completely possible. Dave Ramsey advocates for this on his national finance radio show. There are millions of people doing this already! These are called secured cards. Essentially you open a bank account and put money into it, say $1000, then the bank issues you a card with a $1000 limit. If you don't pay, the bank uses the account balance to pay it off. Any thief that get a hold of it can clean out your bank account. Now rent, mortgage, car payment, etc can't be paid until it gets straightened out. Secured cards are surprisingly popular, and essentially mean that even the most debt aversed person can have a credit card. Most credit cards offer airline miles, cash-back, points, or other incentives for spending on them. You're essentially turning away free money. In the U.S. a debit card can be run as a credit card, which here means swipe + signature (not a PIN). If you use a debit card at a sit-down restaurant the server will run it as a credit card and bring you a check to sign. Same if you buy online, you can use your debit card as a credit card and no PIN is required. It's only been recently that the U.S. has (mostly) moved to chip (EMV) protected credit cards due to a rash of data breaches. The U.S. simply doesn't have the protection around card transactions that Europe has. Even with significant nudging from lawmakers to use the more secure chip cards, some places still just want a swipe + signature (very insecure). As of Oct 1, 2015 if a merchant doesn't use a chip card, they cannot claim a fraudulent transaction and must eat the loss themselves. not using the benefits of credit cards if you could is a loss for you - no free flights, cash back, etc. debit cards - contrary to Europe - offer little to no protection, every skimmer will empty your bank account and you are on your own with the problem. many people manage to pay their credit cards off fully every month, and never pay a cent of interest. That takes a bit of your personal willpower, though, and yes, many others don't have that, and end up overspending and bleeding interest for the rest of their life. An option that combines the benefits of credit cards without the temptation of credit lines is the charge card. A charge card works similarly to a credit card except you must pay new charges entirely every month. You are not allowed to carry any balance over, under penalties of reporting to credit agencies and termination of the account. The only consumer charge cards remaining in the US are from American Express, who also has credit cards. However, unlike Europe, there is relatively wide acceptance of AMEX. In the travel industry, including hotels and rental cars, acceptance is virtually guaranteed. "Can one live in the U.S. and not use a credit card?" "Is it possible to live in U.S. and use a debit card rather than a credit card, just like it works in Europe. So that I'm unable to spend more money than what I have on my savings account?" Yes, that is just what my son who recently graduated and entered the workfoce is doing. "I know credit cards are needed to create a credit score, but I'm not sure I understand the implications of that either." That is not the only method. One can also take out a car loan and pay it off regularly, which he is also doing. He does have a credit card with a lowish dollar limit to book hotels and airfare for the few times he has taken a trip, and then paid off when he got the bill. Some things you just can't avoid having to use a CC. U.S. VISA gift cards and usage in Europe; technical and/or legislative insight? What are the reasons to get more than one credit card? Must I pay a credit card balance after receipt of the statement, or can I pay as I go? Will my Indian debit card work in the U.S.?